Includes information, articles and Blog posts from Love Scottish Islands on the Scottish islands in general. There are many blogs about the scottish islands. Whether the blog is about the islands in general or a specific island, there are some excellent blogs worth reading about. The blogs I have included below are updated on a regular basis. I have tried to highlight mainly personal blogs rather than blogs that are there to promote a business. Life on a small island – a fascinating insight into life on the small orkney island of Graemsay. 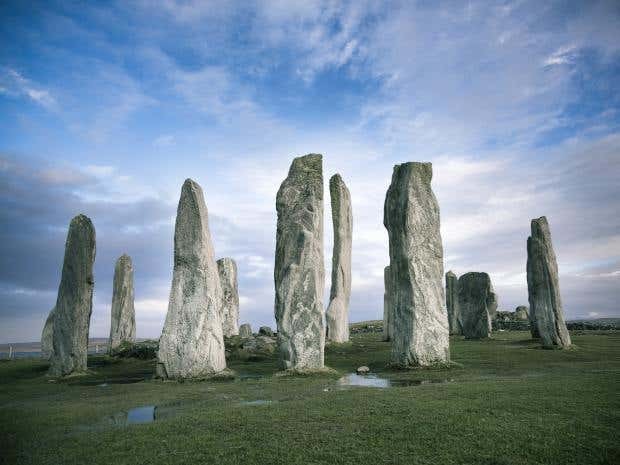 Orkney Archive – An Orkney collection of photographs, books and documents dating from the 15th century to the present. Fair isle Blogspot – this is the blog from Tommy Hyndman who was in the TV series ‘Ben Fogle: New Lives in the Wild – UK. Tommy is featured in Season 1, episode 5. His blog is about his life on the remotest island in the UK – Fair Isle. Island Crofters – On the Isle of Lewis in the Outer Hebrides, lies a croft inhabited by an English off-comer. Island Crofters is a photographic record of daily life on the croft. Hebridean Isles Blogspot (Island at the edge) – following the Hebridean Isles trading company and their personal blog about living on the Isle of Skye. The Iona Blog – entitled ‘Iona through the eyes of a traveller’, this is a blog about the beautiful island of Iona. lismoreislandhome.com – this is an excellent blog by Eva and Sebastian Tombs about their life on the Isle of Lismore. I interviewed Eva for an article called ‘Lismore – moving to a scottish island‘ a couple of years ago. A few years ago there was an excellent BBC resource for islanders to blog aboiut their lives on the islands called ‘Island Blogging’. This has since been wound down and archived but there is an excellent article and snippets from some of the best posts within the article entitled ‘When Scottish Islands blogged’. Some of the posts are hilarious! Also, Shetland seems to be a hotbed for personal Blogs. There is a very good article entitled ’10 Shetland Blogs to Read’ that details these blogs. It is definitely worth a read. The list above is my own personal opinion of interesting blogs about the scottish islands. If anyone would like me to include them in this ist or has a particular favourite that I have missed out, please let me know and I will be happy to include it within this post. The first of this weeks scottish islands news articles is about how writer Amy Liptrott has decided to leave her life in London and move back to Orkney to take care of her parents Sheep Farm. The bright lights of the city can be incredibly alluring, but often this is dwarfed by the pull of ‘home’. This is an interesting story about a message in a bottle that was found on Hosta Beach on the Outer Hebridean island of North Uist. 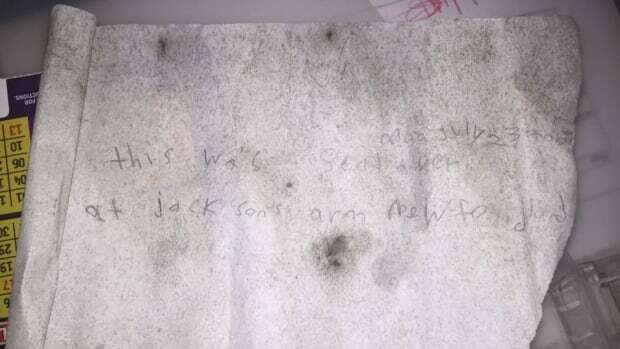 The message is dated Monday July 23, 2001 or 2007 and reads “This was sent over at Jackson’s Arm, Newfoundland”. There is now a facebook campaign to try and find whoever threw it into the ocean. I actually met and interviewed Andy Strangeway about 3 or 4 years ago. He is a really down to earth bloke and was happy to talk to me about his love of Scottish islands. Although there was a bit of media coverage at the time, I don’t think the record that he has will be equalled (or beaten) for a very long time. 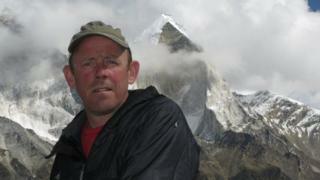 Andy is now a campaigner as well as an an adventurer and you can follow him through his website. My article about Andy is called Island Man. After visiting Vikingar, the ‘Viking experience’, in the coastal town of Largs on the west coast, I have always had a fascination for Viking Longboats. 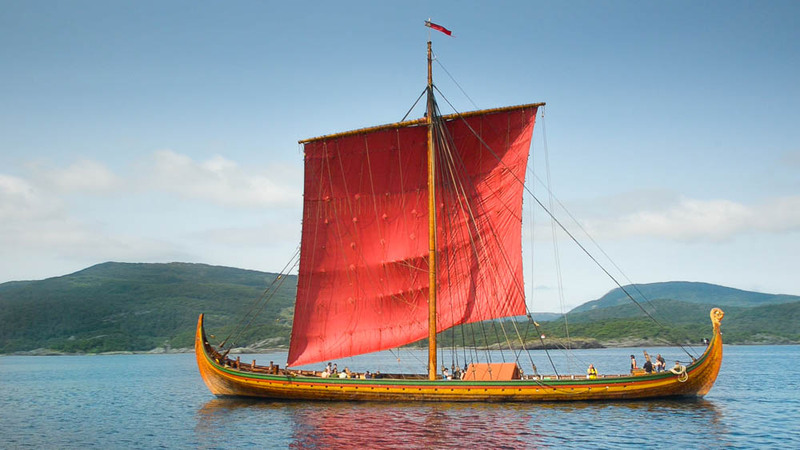 The first port of call for the Longboat will be to Lerwick in Shetland. I can imagine that it will be a an amazing sight when she rolls into view at Lerwick Harbour. Although the re-housing of Syrian refugees is often in the news, it had never occured to me that they may be moved to a scottish island. This article gives the islanders views on both sides of the argument. The first of this weeks articles is about the tiny island of Easdale, about 10 miles from Oban. I have visited the island about 8 or 9 times and it is my wife’s favourite island. Therefore, I was interested to read this article on the opportunity to move and live on the island. There are many ‘Best of’ polls at the end of the year. One of these is usually about which is the best place to live in the UK. There was a similar one during the summer, where Orkney and Shetland came top (or close to the top). Having visited both, I can understand why. It is amazing to think that you could own a flat in one of the most scenic parts of the country for the price of half a garage in London. Although I have not visited Muckle Flugga (yet), I have seen it from the Hermaness Nature Reserve in the extreme north of the isle of Unst. I think it would be a spectacular place to live. Last year, I visited all four of the Small Isles during a weeks holiday. I had previously visited Eigg and Rum, which are the two most accessible Small Isles. On the tour, I finally visited the Isles of Muck and Canna and in my opinion they are two of the most picturesque scottish islands and well worth further exploration. This article gives a short history of the Small Isles. I have really enjoyed the first 2 seasons of Shetland. Whether you like the plots or not, the real star of the show are the Shetland islands themselves. I remember watching the 2 episodes that were based on Fair Isle in the last season and it made me vividly remember my last visit there. Shetland is a magical place and even if you only watch the programme for the scenery, you won’t be disappointed.